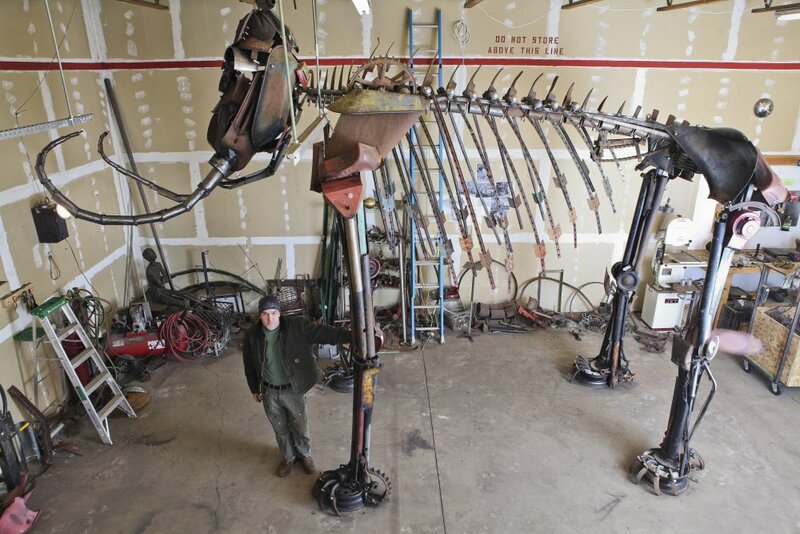 Columbia Mammoth Skeleton for Moses Lake Museum and Art Center. 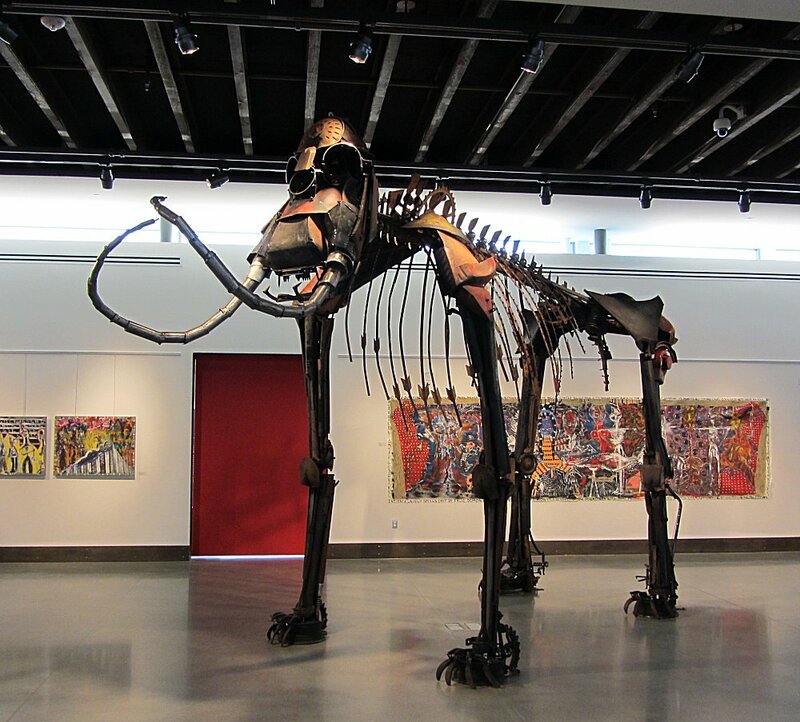 I was commissioned by Pacific Studio to create a life-sized Columbia Mammoth skeleton for the new Moses Lake Museum and Art Center in Washington. The resulting sculpture is made from 95% recycled materilas, mostly old farm equipment and agricultural tools.